A lot can be said about a man by his bike, so it goes. That's why when we look at the Road Star, we understand what goes through one's mind. It's hard not to like a bike that has so much power and displacement available. You can pull away effortlessly in any gear and you enjoy the nice ride, perfect for knocking down the miles cross country. With the big V-twin engine at your command, you'll need saddlebags to help keep any accessories you might need. Choose from our new Lamellar Hard Leather saddlebags to our Warrior style studded soft saddlebags. Whatever style you prefer, we can accommodate. Throw on the quick disconnect bracket system, for a clean and removable saddlebag. 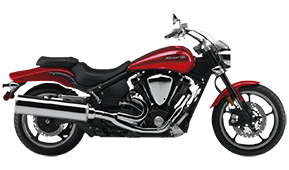 The Yamaha Road Star series of motorcycles is a classically designed lineup of bikes that look best when paired with vintage style parts and accessories. 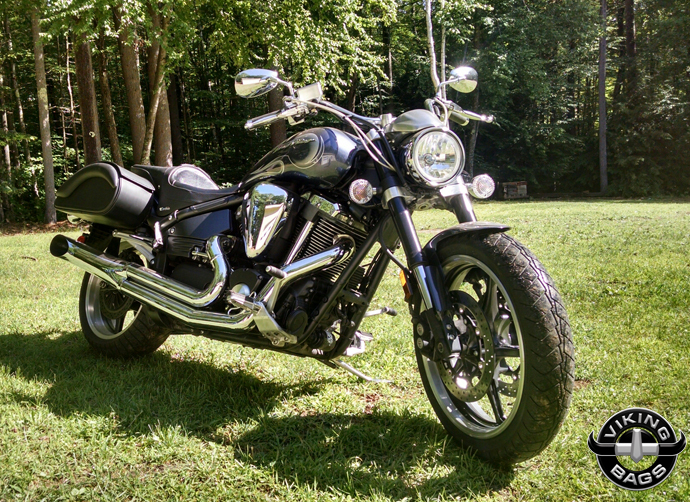 Affordable luggage can sometimes look really cheap on the side of a nice bike like the Road Star, but Viking Bags does a great job of emulating that attractive style of yesteryear in a modernly executed saddlebag. Riders no longer have to worry about clunky bags that fly open while hauling down the road, and bad weather conditions are certainly no match for any of these featured saddlebags. 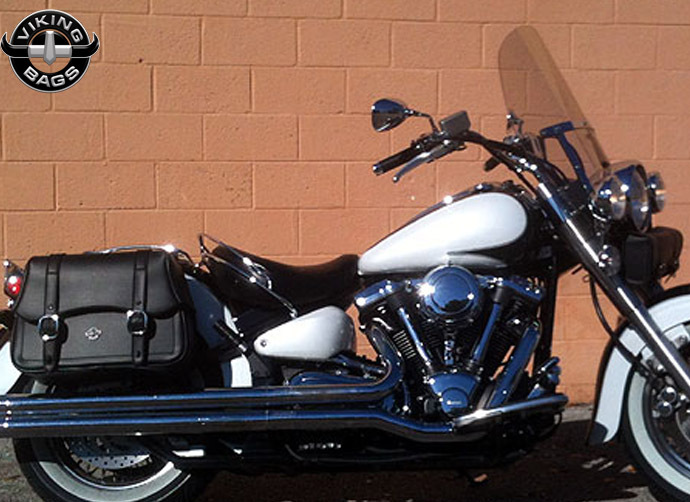 Our collection of Road Star saddlebags here is sure to thrill and excite your every motorcycle-born emotion. These saddlebags are universally designed for the Road Star series of Yamaha motorcycles, so there's no second guessing the fitting if you proudly own one of these great cruisers. From the Midnight Star to the Silverado Limited Edition, the Viking saddlebags featured in this section will all perfectly mount to your Road Star motorcycle as if they were designed as a stock feature. You won't need to bother with troublesome drilling or other mechanical work, because an exceptionally easy-to-use mounting kit ($100 value) and installation instructions are both included with every purchase of your new bags. In case you're the kind of rider who wants to use multiple saddlebags on one motorcycle or the same pair on multiple bikes, you can also use one of Viking's quick disconnect systems for easy mounting and removal. 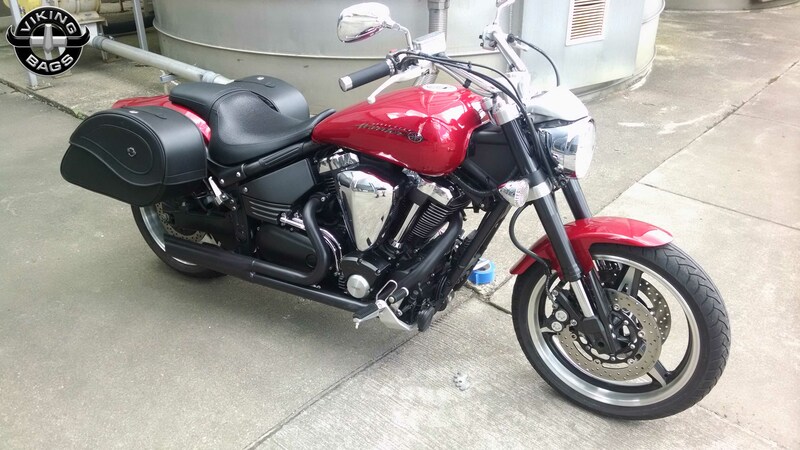 Constructed of a variety of premium quality materials such as cowhide leather, hard fiberglass and Cordura material, riders can choose whichever style Road Star saddlebags best suit their region or standard climate. While many of these saddlebags are indeed waterproof, hard saddlebags take on an extra protective outer shell that also withstands high winds and other road damage more easily than some of the lighter bags. Riders may wish to choose their next saddlebag based on size and color, as well, because functionality and appearance matter when customizing your bike. 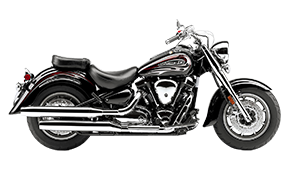 Viking made sure to include their most notable features in many of these saddlebags, so users get high quality innovation at an affordable price tag. 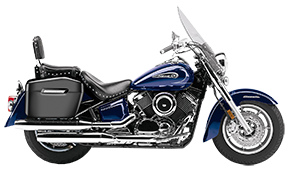 For instance, Viking uses their own brand of locking mechanisms for a secure lock when away from the bike. Likewise, a quick-release buckle system gives owners the ability to access their goods whenever they need them. 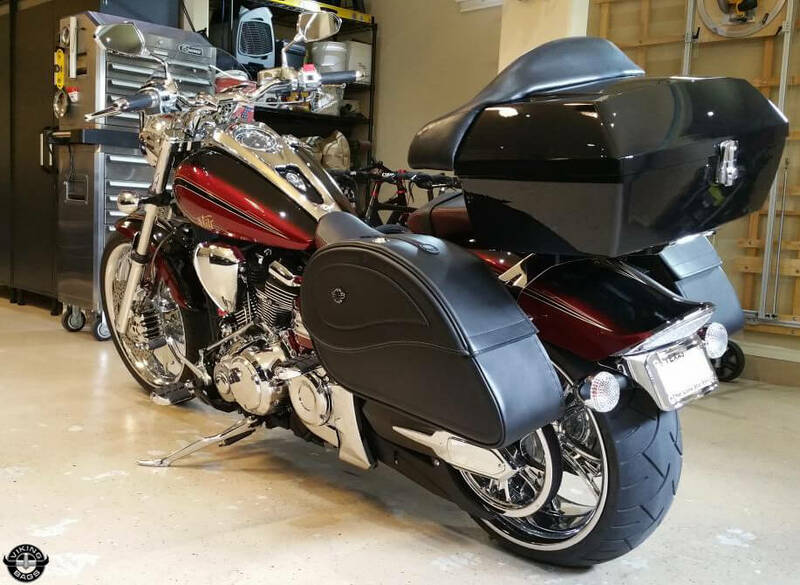 Each purchase of a Road Star saddlebag also comes with free mounting hardware ($100 value) and installation instructions, giving every rider – beginner to experienced – the opportunity to install these bags themselves. For the first 30 days after you receive your saddlebag order, you can try the luggage out and see how you like them. 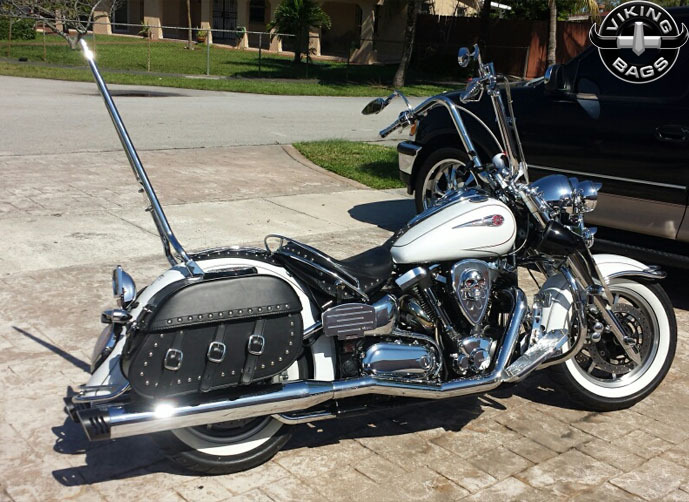 If you're not completely satisfied with your new Road Star saddlebags, we'll work hard to make that a reality. Whether you need a full refund or wish to select a different pair, feel free to contact us at any time and we'll help you out. So what are you waiting for; Step inside and see what we have to offer today! 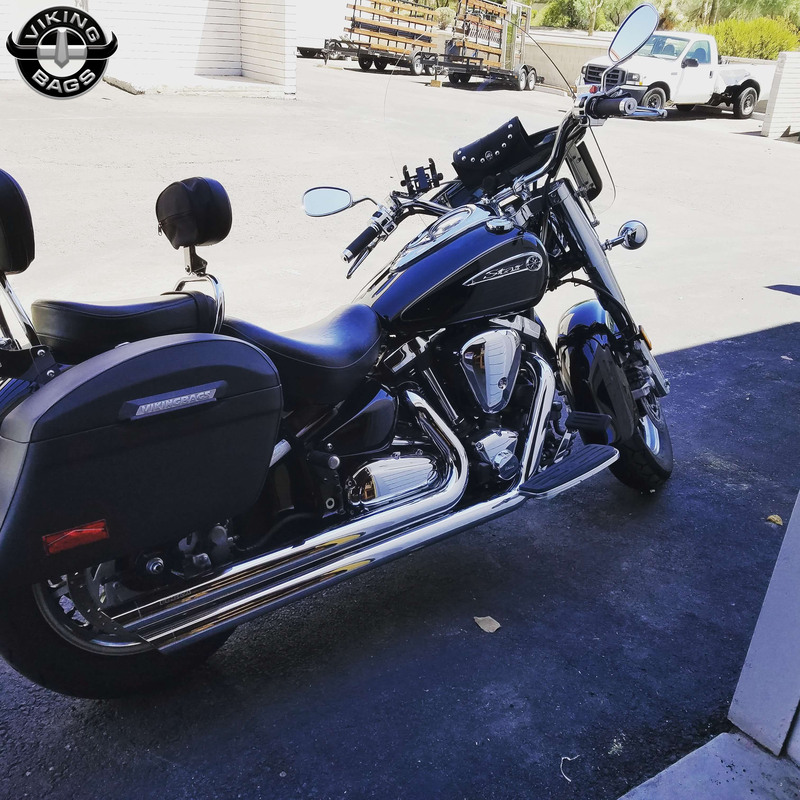 Give us a call toll free if you have any questions, we also have motorcycle luggage like sissy bar bags and windshield bags in case you're looking for more storage.